This past week has been my son’s spring/Easter break. Its been a good week, although not very productive for me. Understandable, right? It seems like every time we have a holiday, I need to clean out our candy shelf…yes, I have a candy shelf. This week when I went through our “shelf”, which includes multiple jars, containers and bags of various kinds of candy, I made a sweet discovery – Rolos! I knew they were in the candy shelf, but I guess I had forgotten how many were there. I’m pretty sure they’re from Valentine’s day, but there’s a good chance they’re also from Christmas. Eeek! Either way, I needed to do something with these. 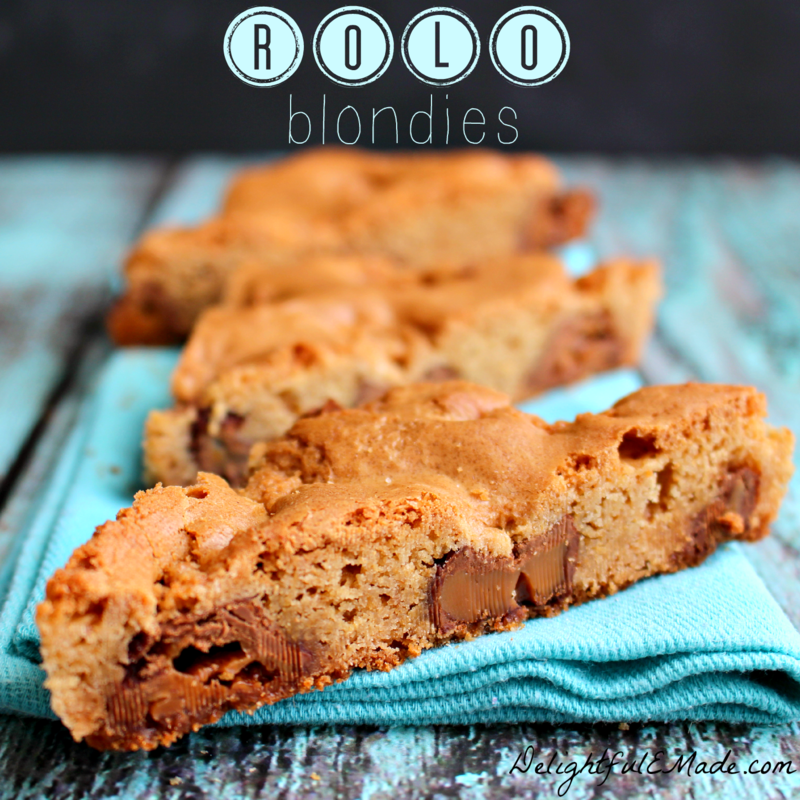 In my opinion, Rolo’s are too delicious to throw away, and definitely still good, so I decided to make Rolo Blondies! 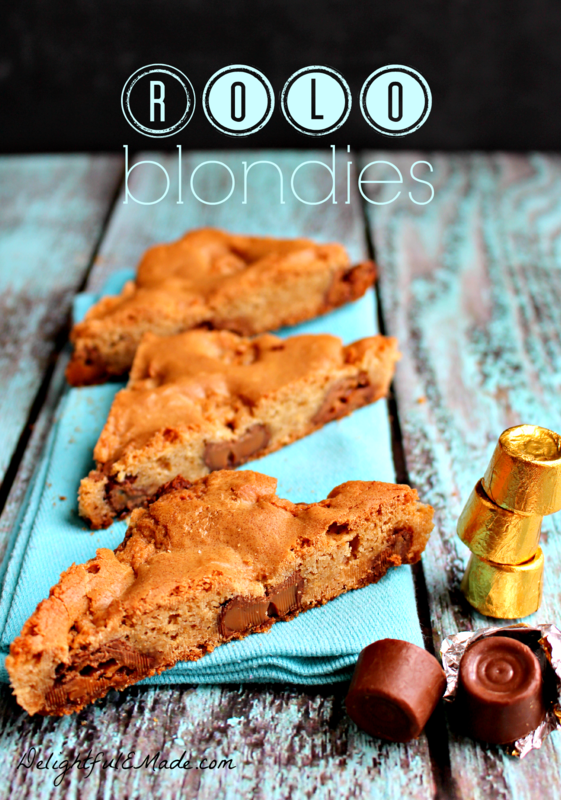 The basic recipe I use for Blondies is super simple. 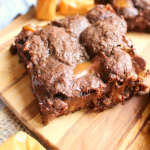 The base is made in a sauce pan, and can be easily adapted for a large 9×13 pan. I made a smaller 8×8 batch, because I had just enough rolos for a smaller pan. Another thing I like about this recipe – you don’t have to wait for the butter to come to room temperature – you simply melt it in your sauce pan, along with the brown sugar. Once the butter and brown sugar melt together, you let it cool for a few minutes, add the rest of the ingredients (right into the sauce pan! ), and the batter can go right into the baking pan! It really doesn’t get any easier! 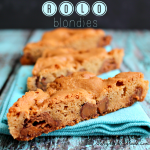 If you're a fan of Rolo's, you'll love these bars! 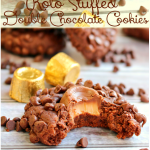 Slightly crisp on the outside, chewy on the inside and dotted with Rolo candies all through the middle. Seriously delicious! Preheat oven to 350 degrees. Prepare 8x8 pan by lining it with aluminum foil, and spraying the foil with baking spray. Set pan aside. Once butter/sugar is cooled, (warm but not hot to touch), into the sauce pan stir in egg and vanilla until creamy. Combine flour, baking powder, and baking soda in seperate bowl. Gradually add to wet ingredients, and stir until all is combined. Pour batter into prepared 8x8 pan. Evenly add the rolo candies to the top of the batter - I like to push them in, so they are sunk into the batter. Bake at 350 for 25-28 minutes until golden brown. Let blondie cool before cutting. 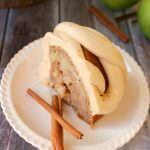 Great served with ice cream! Note: If making in a 9×13 pan, simply double the ingredients, and increase the baking time just slightly by a couple minutes. 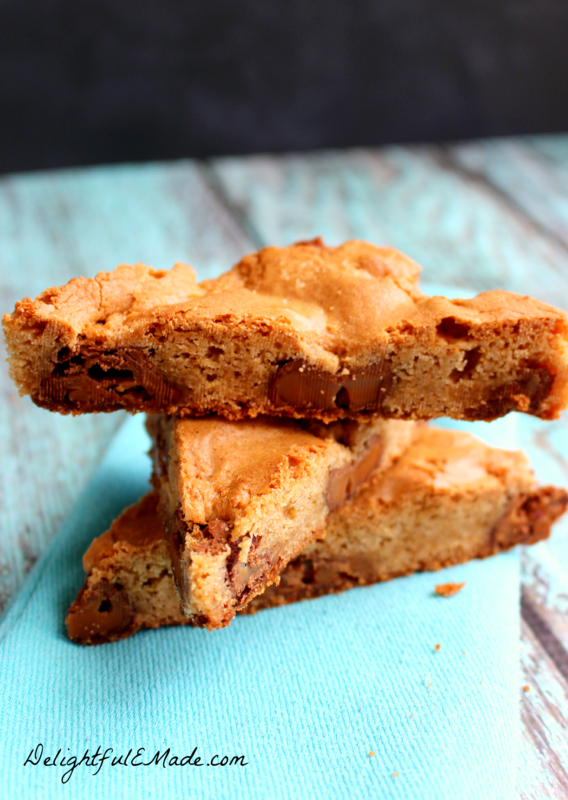 Be sure to insert a toothpick into the batter, and if it comes out crumb-free, the blondies are done. 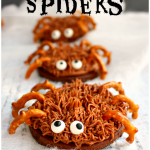 These really are an easy, fun treat to have just about any time you’re in the mood for something sweet. 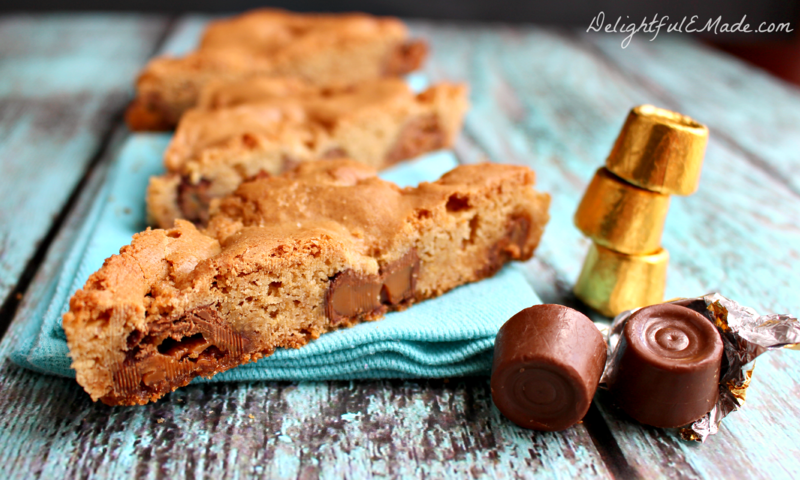 Great for a bake sale, classroom treat, or just something sweet to have with your coffee. Wow, these sounds really really really good! Rolos are my kids favorite candy to open at checkout and eat behind my back. I can't tell you how many empty wrappers Ive purchased. 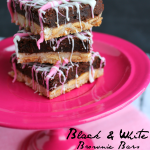 I'll def be making these for father's day! Love it!